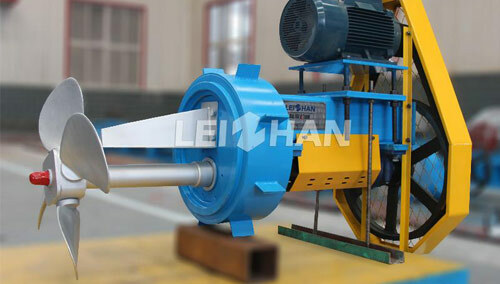 Leizhan is on the top list of paper making machine industry, the products in Leizhan with advanced technology, high quality and low price. A few days ago, Leizhan finished a contract of Hebei Aojie Mancheng Paper Co.,Ltd, pulping machine they need includes M.C.Hydrapulper, Pulp Agitator, Inflow Pressure Screen. M.C.Hydrapulper: Mainly used for pulping wood pulp and other clean raw materials, adopts energy-saving S type rotor, adjustable gap between rotor and sieve plate guarantee the pulping effect. Pulp Agitator: Pulp Agitator can ensure the pulp components even distribution by stir pulp cyclically in chest to maintain the pulp liquid in suspending condition. Advanced design , strong thrust, paper making machine Agitator can be adjust the angle according to the concentration of the slurry. Inflow Pressure Screen: Used before Head box, which belong to a flow system, Inflow Pressure Screening machine with small motor power, lower energy consumption. Besides, Inflow screening machine have good effect of homogenate, which contribute to get high quality pulp.